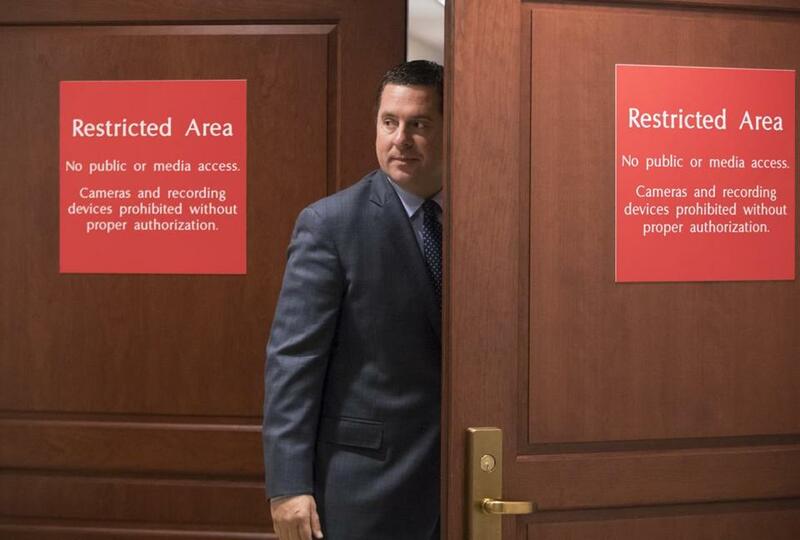 A classified memo crafted by Representative Devin Nunes, Republican of California and chairman of the House Intelligence Committee, has buoyed other lawmakers in the party. WASHINGTON — Could a four-page memo expose FBI wrongdoing so severe that it triggers massive firings and a scandal of a scale not seen since Watergate? Or maybe there is a “secret society” within the FBI, formed to undermine President Trump? Perhaps nefarious actions are to blame for thousands of text messages mysteriously lost — and then mysteriously found? The last week has seen one of the most audacious efforts yet by Republicans seeking to discredit the FBI, the Justice Department, special counsel Robert Mueller, and others who have been investigating Trump and the question of whether there was any collusion with Russia in the leadup to the 2016 election. Lawmakers said President Trump shouldn’t fire the special counsel, but few other Republicans showed appetite for legislation on the matter. The effort has animated the Republican base — particularly those who watch Fox News and refresh conservative conspiracy websites — while elevating brash, largely unfounded rhetoric into some of the highest reaches of the Republican Party. The growing number of Republicans turning toward such theories — half-baked, partially baked, or baked not at all — comes amid reports that President Trump tried to fire Mueller in June. And while Mueller has largely worked quietly, interviewing witnesses, filing several charges, and building a case with an unclear endgame, many Republicans seem intent on trying to shoot the messenger before the message, whatever it ends up being, gets out. Senators are relying on tiny shreds of evidence with little context to draw far-reaching conclusions. President Trump directly attacks top officials — some of whom he himself has appointed — at the Justice Department. Trump and his supporters have criticized the FBI throughout the past year. And the attacks have had an impact. A Gallup poll released this month found that 49 percent of Republicans said the FBI was doing an “excellent” or “good” job, a decrease from 62 percent who felt that way in 2014. The law enforcement agency was the only one out of 13 agencies in the survey whose numbers had fallen over that three-year period. The level of partisanship and willingness to launch unfounded attacks, some Republicans worry, could hamper the party’s ability to draw attention to actual areas of concern when they arise. The latest furor was triggered by a classified memo created by Representative Devin Nunes, the California Republican and chairman of the House Intelligence Committee. Representative Matt Gaetz, a Florida Republican, released a statement calling the memo “jaw-dropping.” Representative Mark Meadows, a North Carolina Republican, said on the House floor that it was so disturbing that he almost wished he’d never seen it. But what is in the memo? It’s unclear. The memo, members of Congress say, is four pages long and the result of hundreds of hours of work. Nunes was previously discredited for possibly releasing classified information while trying to bolster Trump’s unsubstantiated claims that the Obama administration wiretapped Trump Tower during the presidential campaign. Nunes in April supposedly recused himself from involvement in his committee’s Russia investigation. 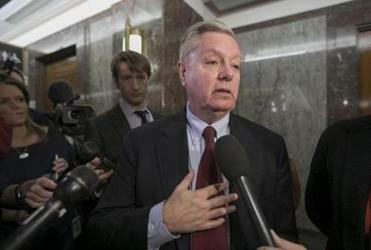 Some Republicans claim that the Nunes memo exposes abuse by top FBI and Justice Department officials, and they suggest that it will shock the American public when it comes to the handling of the Trump dossier, a document created as part of opposition research during the 2016 election that contains allegations about Trump and his connections to Russia. They also hint that it involves misuse of the Foreign Intelligence Surveillance Act, which could have been used to monitor Trump aides in the campaign. Swirling around it are a host of conspiracy theories, and some top House Republicans are doing all they can to fan the flames. But so far they have been unwilling to release the memo, not even to the FBI or to top Senate Republicans who have requested to see it. Schiff said he moved that the committee allow members to view the underlying documents on which the memo was based. He also moved that the FBI be allowed to view and respond to the document. Both motions were voted down in committee. Democrats are now crafting their own memo and are planning to ask the committee on Monday to allow House members to view a classified version of it. If Republicans attempt to release their memo to the public, Democrats want theirs to be released as well. Republicans have also ramped up scrutiny over text messages between two top FBI agents, senior counterintelligence agent Peter Strzok and attorney Lisa Page. They say some of the messages showed bias against Trump. Strzok was initially on Mueller’s team of investigators but was removed last summer once some of the text messages were discovered. But the full text message in question, obtained on Thursday by several news organizations, seemed to indicate that the remark was made in jest. “Are you even going to give out your calendars? Seems kind of depressing. Maybe it should just be the first meeting of the secret society,” Page wrote to Strzok. Republicans have also raised questions about five months of missing text messages between Page and Strzok. The FBI initially attributed the missing texts to technical problems. “In one of the biggest stories in a long time, the FBI now says it is missing five months worth of lovers Strzok-Page texts, perhaps 50,000, and all in prime time. Wow!” Trump tweeted on Tuesday. But about 48 hours later, the FBI’s inspector general made public that the agency did, actually, have the messages. “The damage to the bureau and the department is really incalculable,” Schiff said. “The public will have even less confidence in those institutions. When FBI agents fan out across the country and do interviews and prevent terrorist plots, people may view them with greater suspicion. . . . It’s overwhelmingly destructive and such a disservice to the hard-working law enforcement agents.